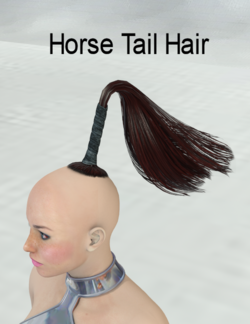 HorseTail Hair Model & Textures is an extended-ponytail hair prop created by AprilYSH. It was designed for Aiko 3 (stylized and realistic), Apollo Maximus, David 3, Hiro 3 (stylized and realistic), Luke, Laura, Matt, Maddie, Michael 3, Millennium Baby 3, Stephanie Petite 3, Victoria 3, and Victoria 4. This page was last edited on 30 July 2017, at 08:46.